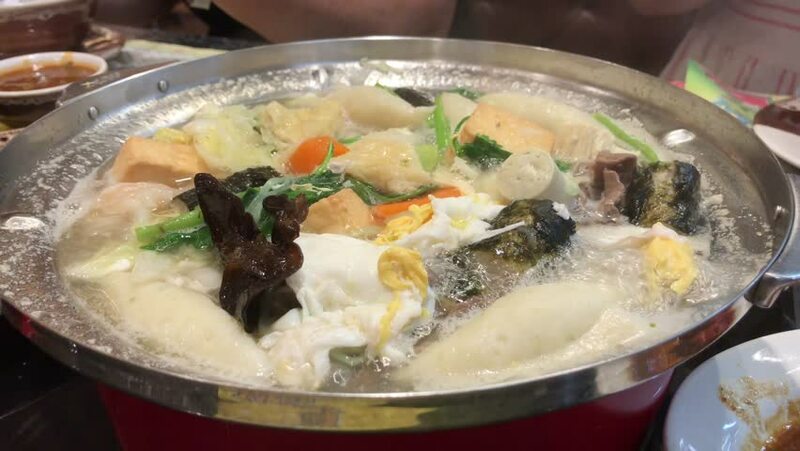 4k00:10One side of hot pot with heavy steam inside Chinese restaurant with 4k resolution. 4k00:18Shabu hot pan Two boilers have both clear water and tomato juice. hd00:11Hot and sour seafood Thai,Thai sour soup cooked.